Union leaders say policies and privacy concerns must be addressed before the technology is implemented. (TNS) — When city Rep. Henry Rivera, a former El Paso police officer, advocated that the city apply for a state grant to obtain body cameras for police officers, he thought the idea was simple: there’s money available, go apply for it. Cities nationwide are increasingly outfitting their police departments with body cameras, many in light of concerns about police brutality and officer-involved shootings. Across Texas, cities like Dallas, Houston and Austin have already rolled out body camera programs. And in the border region, the El Paso County Sheriff’s Office, Horizon city and neighboring Las Cruces, N.M., have also implemented body camera programs for law enforcement. But El Paso Police Department and police union leaders are pushing back against a proposal that would require officers to wear body cameras, saying other funding priorities and policy and privacy concerns must first be addressed. They say they are not opposed to the cameras, but that the city shouldn’t rush into acquiring them without first studying how to pay for them and how to implement and manage them in the long term. They also say hiring more officers and buying new police cars and updated radios should remain a top funding priority. And, the police union said it is concerned that officers may unfairly face disciplinary action if the technology malfunctions or a private conversation over the course of a work day is caught on tape, for example. Martin said sometimes emergency situations unfold so quickly that an officer may not have time to turn on the camera, which he fears may be seen as an attempt to hide what occurred. Body camera policies are not new in the border region. El Paso County Sheriff’s deputies, Horizon City Police Department officers and the City of Socorro Police Department already wear the cameras. The traffic unit at the El Paso County Sheriff’s Department has been using the cameras since 2008, and the rest of the patrol units began using them in 2016. Chief Deputy Sheriff Tom Whitten said the department got a bundle deal with a company called Axon for 250 cameras, unlimited data storage and 375 Tasers for $300,000 per year under a five-year contract. Whitten said the sheriff’s department hasn’t had to hire staff to manage storage since it’s cloud-based. Deputies upload footage and the district attorney has access to the files. “For us, it’s nothing short of fantastic,” Whitten said. Horizon City Police Chief Mike McConnell said his department has been using cameras for about five years and houses data in-house rather than in a cloud-based storage system. McConnell said the department is currently changing vendors to match its dash-cam system. That switch comes with a price tag of $23,000 for 13 cameras and a data storage boost. “A high percentage of time … the video camera helps the officer. It doesn’t hurt because the officer should be doing the right thing. Under that theory, it should serve to help (police officers),” McConnell said. Some area human rights groups argue that the cameras should be a priority for El Paso police. Garcia said El Paso is one of the safest cities because area law enforcement engages with the community. He said body-worn cameras would strengthen that relationship by showing accountability and transparency. Garcia said he was disappointed when the City Council voted to delete two items during the Nov. 28 meeting. The first would have directed the city to seek funding or apply for a one-year state grant that requires a 25 percent match by the police department. The other would have formed a committee that would look into policies for cameras for the department. City Council instead directed the police department to research the cost for the body cameras and the procedures for using them, a process that Assistant El Paso Police Chief Patrick Maloney said could take up to six months. Officials said neither the city nor the police department has conducted any official studies on the cameras. Maloney said the department looked into the grant in 2015 and 2016. He said there was not enough money in the police budget to cover the required match. The department has 1,037 officers, he said. “To put personnel to task and with that amount of work to do a study (for something) in-depth like that when there’s no funding to move forward on it, doesn’t make a lot of sense,” Maloney said about why the department hasn’t applied for the grant. Recently, at the request of the police department, the city’s purchasing staff got an estimate from Axon Enterprises, Inc. of Arizona for the potential cost of body cameras, including annual fees for the software license and data storage. That estimate, which was not part of a formal bid process, was $2.7 million for 500 cameras under a five-year contract, Maloney said. Axon, an Arizona-based company formerly known as TASER International, serves more than 17,000 law enforcement agencies, according to its website. City Council will wait for findings from the police department before deciding whether to fund a body camera program, officials said. Rivera said he wasn’t sure if funding for the El Paso police cameras could come from a tax increase, budget savings or a voter referendum. But he said trust and accountability are the key reasons he is pushing for the cameras. He also said he believes it would reduce the number of lawsuits filed against the city and police officers. 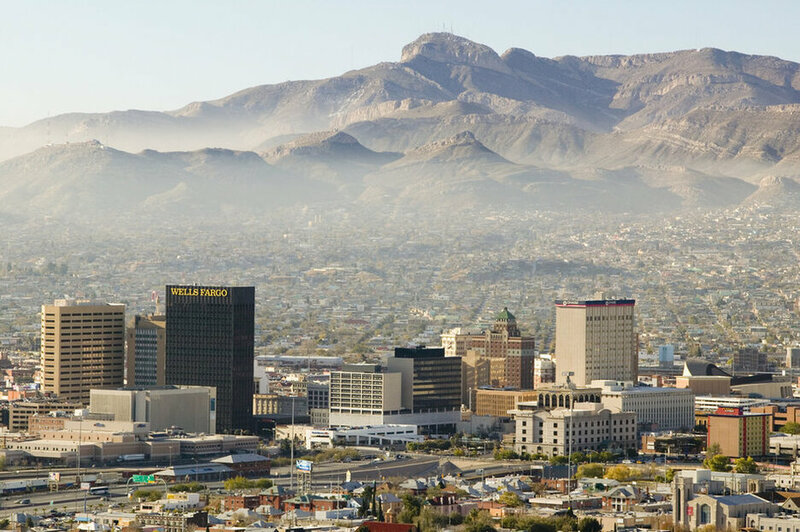 Figures for how many lawsuits have been filed against the El Paso police department were not available, according to city officials. Martin said he does not think body cameras will reduce the number of lawsuits. A civil rights lawsuit against the EPPD filed in May claims police have used excessive force against people with signs of mental illness, citing several recent cases. The lawsuit filed by attorneys Enrique Moreno and Lynn Coyle claims that in the 15-year period from 1997 to 2012, there were 32 excessive force cases. That compares to at least 21 in just four years, from 2012 to 2016, the lawsuit states. The suit cites the case of a suicidal man who died after police shocked him with a Taser in 2015; the fatal shooting of a handcuffed prisoner outside the Downtown jail in 2013; and the shooting of another suicidal man in 2016. Moreno said it’s difficult to speculate after-the-fact whether cameras would have a made a difference in the litigation, but he believes that both citizens and officers would benefit from having them. “I think there’s a growing consensus that they are beneficial from multiple perspectives, not just in terms of citizens, but beneficial to police themselves,” Moreno said. Moreno said he doesn’t understand why the city hasn’t taken the lead in acquiring the cameras.